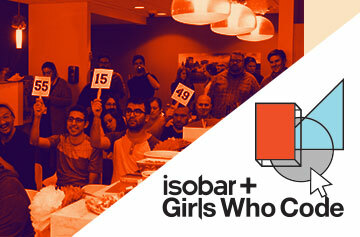 For the second time, Isobar hosted an auction to raise money for Girls Who Code – but this time, we took it national. 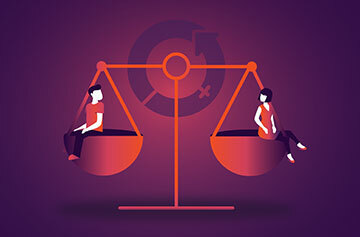 Girls Who Code is a “nonprofit organization which aims to support and increase the number of women in computer science. The organization runs summer programs which teach computing and programming skills to high school girls.” Given the nature of our business, Girls Who Code has always been very near and dear to us. 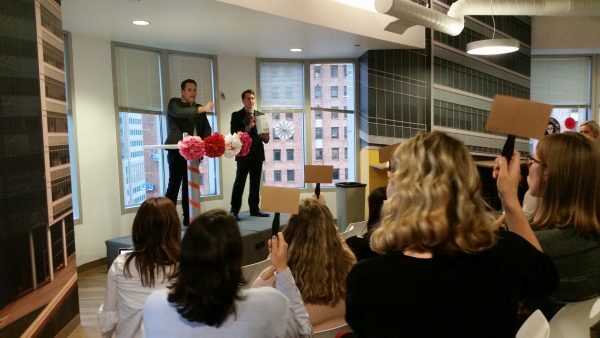 This year, we had an office wide auction that raised more than $13K. Of course, the auction would never happen without the amazing donations from our talented employees. 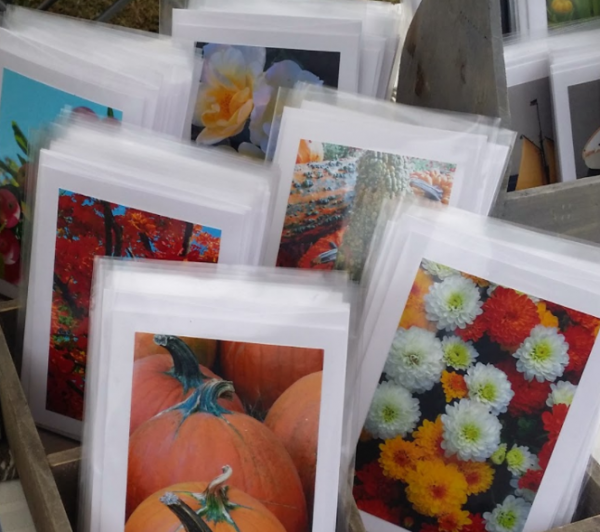 As co-workers, it’s easy to acknowledge the talents of our employees within the workplace, but it’s so exciting when we get to celebrate the creative talent that exists outside the office. Here are a few highlights from some of the amazing donations we received in each of our four major offices: Chicago, New York, Boston + Detroit. 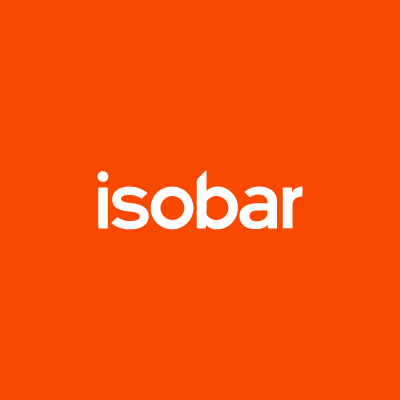 The New York office is filled with all disciplines: creative, technology, SEO, strategy, etc. However, one glimpse at our donation table would have you believing we were at an art gallery. 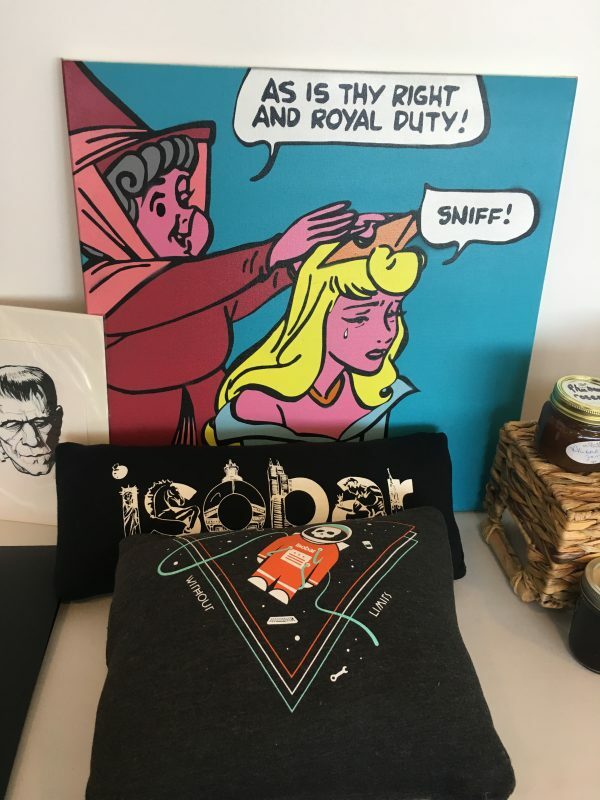 From Lead Interactive Developer, Branden Vandegrift, came a handmade recreation of a Disney Fine Art piece, featuring Princess Aurora (Sleeping Beauty) that boasted 11 layers spray paint. Creative Director, Damien Girardi, contributed a hand-crafted sconce, created from reclaimed materials obtained from a home renovation project at 1117 3rd Avenue in Asbury Park, New Jersey. Gino Di Biacno, Associate Director, Experience Strategy & Design, donated two different intricate ink drawings: Frankenstein and a cockroach. Skills donated continued to showcase the unique talent of the New York office, from a photoshoot session, to a Bollywood Masala Bhangra dance class. A trifecta of sweet and savory treats: applesauce made from hand-picked Michigan apples, traditional sauerkraut and tomato jam, “like ketchup, but fancy.” All the preserves were handmade and canned by Copy Writer Paolina Barker, who also served as Detroit’s event MC and inter-office reporter. Photography by Rae Lynn began as a side project for Producer Rachel Rodriguez, shooting for a friend’s local fashion blog. In the year since, her passion has bloomed into a business specializing in natural light photography for family photoshoots, newborn portraits and small wedding and event coverage. Detroit’s most Pinterest-worthy item was donated by Developer Ashleigh Alley. Her centerpiece was handcrafted and styled to dress up coffee tables with vibrant succulents or other small house plants. Because of its curb appeal, this was one of our most sought-after and highest-selling items. As this was Chicago’s second year auctioning off items for Girls Who Code, the team was prepared to give their time and energy with donations spanning a wide variety of artwork, services, and (delicious) baked goods. In the artwork category, Samantha Martinez, Experience Designer, donated a hand-sewn Dia de los Muertos apron inspired by the celebration that coincided with the day of the auction. In addition, Robbie Tanizawa, Visual Designer, created a print using a hand-carved wood block he designed. Ashley Lindsay, Senior Interactive Developer, donated several items, the most notable being two boules of sourdough bread that followed a recipe from cult-favorite baker, Chad Robertson, out of San Francisco’s Tartine Bakery. The result was a bidding war for the loaves and Lindsay donating two more sets of sourdough to other carb-loving bidders. 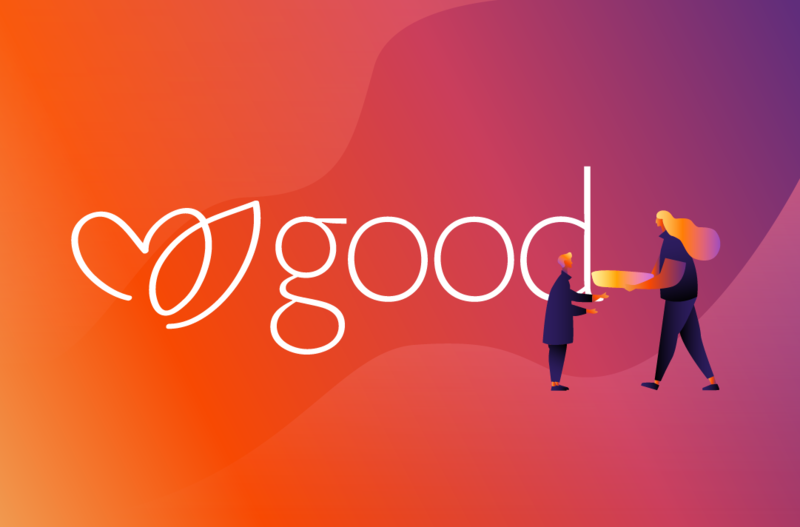 Outside of physical goods, Aimee Le, Project Manager, donated a two-night weekend getaway at her Airbnb in the beautiful city of Nashville, Tennessee. In addition, Jeff Maling, Co-CEO, offered up his corner office and parking spot for a week, allowing one lucky bidder to experience some of the perks of being CEO. The spirit of giving throughout the auction inspired the Chicago team to enter high bids and even donate last minute goods and services, increasing our already lucrative list of auction items in real time. 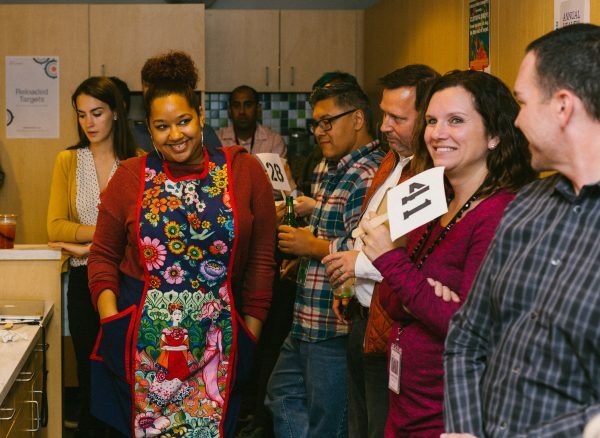 This was Boston’s first year auctioning off items for Girls Who Code. Many team members donated their time and energy organizing the many logistics that were involved with making this auction a success. The office had over 25 donations including artwork, services, and baked goods. Caitlin DiCecca, IT Systems Administrator, donated many crocheted items, including a custom blanket. Amanda Schuler, Associate Creative Director, donated three paintings that ended up all being sold to the same bidder. Two bidding wars took place that resulted in the employees who donated agreeing to increase the item/service to two, which in turn doubled the price. Those items were custom hand drawn portrait, donated by Jenessa Carder, Associate Strategy Director and a Mid-Century handmade planter, donated by Brayden Varr, Art Director. Monty Cagwin, Creative Director, donated a 3lb slab of his personally cured bacon. This had a lot of people salivating and raising their paddles! The biggest selling item, which sold for $250, was 16 hours of accrued vacation time! This was an ingenious idea, donated by Chaitanya Vaddula, Interactive Developer. The spirit of giving throughout the auction was amazing. It was such a fun event that brought the office together.